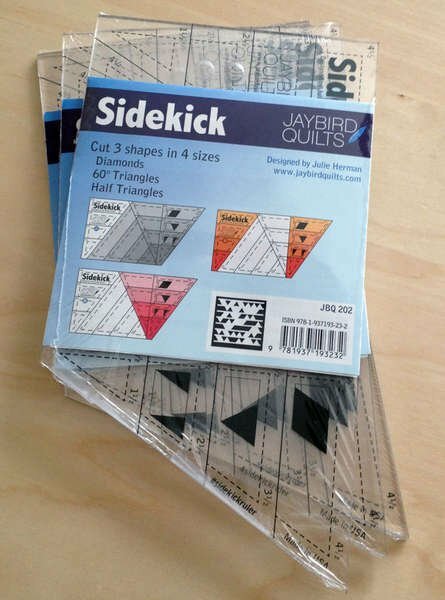 Cut 3 shapes in 4 sizes all from strips using the Sidekick Ruler. Cut diamonds, 60 degree triangles, and half triangles. Comes with full color instructions.